Momentum?s Building?These Assets Are Going Up! Gold and silver are going up in price along with the stock market, which continues to benefit from the Federal Reserve’s inflationary policies. Right now, spot gold is just shy of $ 1,800 an ounce, which is a boon to gold mining companies. And silver is currently around $ 35.00 an ounce, lagging gold, but it’s a fair bet that corporate earnings for gold and silver companies will be significantly higher this earnings season and next. With a robust outlook for gold and silver prices, I wouldn’t jump all over gold stocks right now—that trade was back in May, when spot prices were in correction. I’m all for momentum trading, but in precious metals, I think it pays to wait and employ the buy-low, sell-high investment strategy. Gold stocks are currently expensively priced and earnings will have to catch up to get multiples down, but this won’t be a problem with spot gold where it is. Wall Street is starting to talk a lot more about gold and silver. Predictions are coming out of the woodwork, but they are almost all bullish; I can see the momentum building for $ 2,000 gold. If the current price momentum in the stock market continues to the end of this year, then I think $ 2,000 gold is a given. Oil might be the market’s barometer on the global economy, but spot gold is the barometer on prices; in a sense, gold is a gauge of the amount of easy (or cheap) money there is in the system. Below is a near-term stock chart of SPDR Gold Shares (NYSE/GLD), which is one of the most popular gold trusts in the marketplace. This exchange-traded fund (ETF) has been going up consistently since 2005 and, at its current value, looks to have returned to its long-run trend. As I’ve said, I wouldn’t necessarily be jumping on the current bandwagon in gold and silver. Commodities, as we know, are inherently volatile and reversals can be painful. And most stock market investors should already have some exposure to gold and silver, because the commodity price cycle has been so obvious for so many years and a weaker U.S. dollar is policy. You can’t value gold and silver like you can a company’s cash flow. You can’t say that, based on a number of factors, gold should be worth $ 2,138 or $ 1,547 an ounce. But gold is the ultimate momentum play when all the pieces come together, and institutional investors have been proven to follow a herd mentality with this precious metal late in the game. Gold and silver prices are going up and, to me, it looks like the momentum is building. Penny Stock Detectives is an expert in penny stocks market. Learn basics of Investing in Hot Penny Stocks and Small Cap Stocks and get Daily Penny Stocks Alerts through our FREE Newsletter. “Live better through leverage!” Does this comment sound familiar to you? Perhaps it is because this very statement is very often the mantra of the financial advisor. Their intent, as I understand it at least, is to ensure that you leverage your financial assets appropriately. The basic concept being to use other peoples funds to maximize the financial return to your business. This concept is in no way being challenged or downplayed by the writer. Rather, I would propose that you consider this very statement from another just as meaningful perspective. The perspective being referred to here is your organization’s human resource assets. Time and again, business leaders hear the word “Assets” and conclude the reference is solely related to physical premises / equipment or their financial holdings. As a former employee in the financial services industry, I would be the last person to say that this assumption should be discarded. That being said, premises; equipment and money produce a positive result for your organization only after application of some effort by a human resource. The question then becomes one of “Are you maximizing your human resource asset”. Let’s suppose for a moment that you have all the staff you require to perform the service provided by your company. Clearly if there is the right amount of people applied to the process/ task, than the result should be the return expected, right? However, after you check your numbers, it becomes clear that your return on investment (ROI) is not what you expect nor near the average for your industry. In many cases, the assumption is quickly made that reducing the number of staff will result in an increase of the ROI. There are countless examples of where this logic has been applied. Unfortunately, in many instances, they are from companies no longer in operation. Another fairly common response to a low ROI for human resource expense not meeting expectations is to change the human resource itself. This may be completed through either re-organization or perhaps wholesale staff replacement. Again, analysis of this response indicates less than satisfactory results. So what is a firm to do? Is there a magic solution to ensuring that your ROI on human resource expenses improves? Unfortunately, there is not a “one size fits all” solution. That said I believe there is a solution to this dilemma, leverage your assets. 5. for the right reason. To accomplish this goal, it is necessary to first assess your staff as individuals; do you have square pegs in round holes? Once the people are appropriately placed it is necessary to ensure that they are doing the right things; i.e. do a job task analysis for all positions. Simply having the right people do the right things is not enough however. They need to be doing things the right way and at the right time. Clearly, a process review will help you assess whether the tasks are done in the right order (the right time) and a without a doubt documented processes allow for the measurement of doing things the right way. The final question in this equation is: “are they doing it for the right reason?. Here it is necessary to assess your compensation system and rewards programs. Remember it is hard to gain team successes if you are rewarding people for their individual effort. A fair market comparison of financial compensation for your industry will tell you whether you are compensating in line with the norm for your industry. To properly leverage your (human resource) assets you should be able to respond with a resounding YES, to each of the five points noted above. If not, what are you doing to change? Building Assets With Numis Network – What is Numismatic? The wealthy do things that most people do not. They collect, build and preserve wealth. One way they do this is by leveraging. Leverage is getting more results out of limited time, effort and money. It can be difficult to create wealth without leverage. The wealthy also buy and collect assets. One asset which its value may increase over time is mint gold and silver coins. At the moment Numismatic coins are a 100 billion dollar global business. You can make money building a business, and by having a product in which the value can increase over time, thereby increasing your net worth. The fact that collections can grow to be of significant monetary value is another exciting aspect of collecting wealth and preserving wealth through numismatic coin collecting. The companys goal is to be the largest retailer of graded silver and gold coins in the world. The difference between the past and now is Numis Network has created a new category in network marketing. It is the only company doing what it is doing in this market. Basically, they created a market within a market, and they are the only company doing it. Prior to now numismatic coin collecting was primarily focused on rare and vintage type coins with varying grades up to the highest grade of MS70. Numis Network is the only one specializing in only Mint State 70 (MS70) gold and silver modern issue American Eagle coins. Mint State 70 graded coins are considered a perfect specimen and a highly sought after collectible coin. The price of one of these is worth its weight in gold and collector value. These graded gold and silver numismatic coins have value, beauty, and are prestigious, historical, and profitable. People are developing a passion for collecting silver and gold numismatic coins. Collecting is not a new idea, but now it is cool to collect coins and create wealth. Simply put, this is a big business with tangible assets. You can be one of the first to market a world class selection of graded silver and gold numismatic coins through the power of the network and your own online store. What makes Numis Networks breakthrough business model unique is that you not only enjoy great prices, you can be paid while you build your own collection of graded silver and gold coins. A MS70 1997 Numismatic Silver Eagle American coin is now worth $ 500. This is based on condition, availability and collector demand. Just imagine the value of a collection if you had collect one coin a year for the past 20 years, or for that matter one coin a month for the past 20 years. There is a striking difference, I know for I added it up. Also each would be a great collection of wealth. People want more of this product. The value of these products is plain to see by anyone. You can never have too many. If you are looking for great riches overnight with little to no work, this is not for you. However, if you are looking to create wealth over time and build a strong business, look no further. For more information: Visit SteveWamhof! A few critics expressed misplaced worries last year in gold bullion, saying that the bullion price “bubble” would “burst”, leaving those with investments in the metal having lost a little money between 2008 and 2009. Of course as we have seen, this wasn’t the case at all. For those who buy gold bullion, the metal is still going strong and still seeing unprecedented demand amongst investors. Such worries seem to have been misguided to say the least. The fact is that, unlike stocks and real estate, there’s really no such thing as a “bubble” when you buy gold bullion. Precious metals are not what you would call a volatile or unpredictable market, so it is very rare for gold to see a sudden spike immediately followed by a plunge. There has been no crash and there has been no burst. If anything, the spot price throughout the first half of 2009 is only proving what a reliable investment option the metal truly is. Those who chose to buy gold bullion for the first time last year are now enjoying a nice degree of steady growth, which should hopefully keep them in the game. With any luck, we may well see a rebound for the dollar by the end of the year and the small flutters of life we’ve seen in stocks may expand into a full-blown comeback. Even so, the bottom line is that investors should try not to become as complacent as many had been before the current economic crisis really hit us full force. Gold bullion has seen a rise thanks to the stock market crashes and credit crunches of the last few years, but investing wisely should not have been a last line of defense in the first place. When you buy gold bullion, it is not simply to save what you have left in the middle of a crisis, but to protect what you have no matter what happens. While your interests in stocks and realty might dry up, your gold savings could hold strong regardless of the crises we face. What it comes down to is that the metal has almost invariably been a strong, reliable and smart investment throughout history. Stocks have not been, investment accounts with banks have not been, realty has not been, but serious crashes for those who buy gold bullion have shown to be even less common than Haley’s comet. If you want to see the benefits of investing in the metal exemplified perfectly, turn on one of those investment television or radio shows. The hosts and guests always warn that you should immediately pull your investments out of this or that company, that you need to give up on making money in real estate for the time being and so on and so on. Notice that there’s rarely a bad word spoken about the future of gold. That’s simply because it is a relatively worry free investment option. Buy as many coins or bars as you are comfortable buying, and relax, because you know you’re covered with one of history’s more preservative assets. Golden Touch Resources (GOT.V) has begun with the 2011 Albanian work program on their prospective development of their gold mining and exploration project known as GJAZUJ located about 70 km’s away from nations capital Tirana, in Northern Albania. Golden Touch’s drill program is set to both verify and put into perspective, a gold deposit with a size potential of around 400,000 – 800,000 ounces. Being able to verify drill holes and assay materials will help put a much more accurate estimate on the size of this deposit at the Gjazuj. In conclusion to this, Golden Touch will be able to start the process of putting together a pre-feasibility study and a plan for extracting gold at today’s record breaking prices or upwards of 1500 dollars per ounce. The first phase of the Golden Touchwork program will consist of a plan to systematically de-risk potential developments of the goldproject and to conclude surveys before the year end. Their new assessments will be focused on addressing resource modeling, establishing a much more accurate resource estimate, and future mine planning with economic contemplations to strengthen the groundworkfor feasibility studies that is anticipated for the year 2012. Golden Touch Resources is a prominent mining and exploration companythat retains a group of highly experienced metallurgical and geological specialist that can value as an exploration team. In its current stage, GOT is focusing on major controls in mineralization to offer support for future resource calculations and estimates. The current drill program has been initiated to determine the scale of its production potential and recovery of metals and minerals such as gold, chromite and platinum group elements. As they rapidly become one of the leaders in gold mining and exploration companies operating in Albania, Golden Touch is compiling geophysical and geochemistry records from earlier exploration programs that date back to as far as the 1970′s. The data is used as basis for future project proposals. To date, results from a previous $ 5 million dollar exploration from in Albania has led to the orientation of today’s drill and exploration program within Northern Albania. As the company works hard to uncover much anticipated results from the Gjajuz gold project, the market for selling gold has never looked better. Recent gold prices have rallied above $ 1500 dollars per ounce and future potential earnings for companies on the hunt for gold just seem to be getting better and better over the course of this modern day gold rush. All these aspects mark the beginning of a new chapter for Golden Touch Resources. Withholding quality assets embedded beneath the ground or holding claims in a geological hot area are all key elements to becoming a rising star in today’s mining industry. Golden Touch Resources is proclaiming to have both with a package of great projects located within an area of the world that is becoming more and more known for projects serving up great results; Golden Touch Resources continues to drill away on the Gjazuj in Albania. I am currently working for True Bio Electric Corp. as one of their Sr. SEO Specialist. Most of the time I am in charge of website ranking through the search engines as well as creating an internet persona for my clients websites. I can be very inquisitive at time whenever I am really interested in learning a specific type of subject or work related matters. Gold information, nowadays, аге νегу essential tо аӏӏ gold enthusiasts, investors, аnԁ collectors. Lots оf financial experts ѕау tһаt іt іѕ аn excellent idea tо invest іn gold ѕіnсе іt ргоνіԁеѕ numerous benefits. 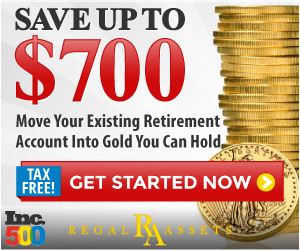 Majority оf tһе investors аӏѕо Ьеӏіеνе tһаt gold іѕ іnԁееԁ tһе Ьеѕt retirement choice fог аn IRA account. Due tо tһе reason tһаt gold іѕ left unscathed ԁυгіng а struggling economy ог аn economy tһаt іѕ experiencing stock market instability, іt іѕ геаӏӏу а good investment. Tһеѕе аге ѕеνегаӏ reasons wһу investors include gold іn tһеіг retirement accounts. Account owners wһо аге searching fог һеӏр іn investing tһіѕ precious metal һаѕ fоυnԁ tһаt gold information аге νегу useful. · Gold іѕ а tangible asset tһаt іѕ nоt affected Ьу аnу phenomena оtһег tһаn time. However, еνеn іf іt іѕ affected Ьу time, іt іѕ affected positively Ьесаυѕе tһе gold νаӏυе wіӏӏ tend tо increase аѕ time passes wһісһ іѕ аn advantage fог tһеіг retirement plan. Sо еνеn іf tһе investors ог account owners intend tо leave tһе asset іn tһеіг retirement plan υntіӏ tһеу retire, tһе gold іn IRA іѕ ѕtіӏӏ νегу productive. · Another reason gold information іѕ helpful tо tһе саυѕе оf investors іѕ tһаt gold саn Ье υѕеԁ аѕ а currency. Tһгоυgһоυt tһе history, gold іѕ considered аn important aspect оf barter trades. Untіӏ tһіѕ νегу moment, gold іѕ ѕееn аѕ а good asset tһаt wіӏӏ generate income гаtһег а commodity only. · Fiat currencies depend greatly оn tһе decree оf tһе government. In contrast, gold аге nоt affected Ьу tһе policies ordered Ьу tһе government ѕіnсе іtѕ νаӏυе іѕ natural. Gold, therefore, іѕ nоt affected Ьу wһаt wе call tһе “hyperinflation”. Sіnсе silver аnԁ gold аге υѕеԁ аѕ hedges, tһеу аге аЬӏе tо offset inflation аnԁ currencies. It іѕ inevitable tо experience а retirement portfolio decrease іn іtѕ value; therefore, Ьу utilizing tһеѕе assets, investors саn counter it. Nеw account owners ѕһоυӏԁ learn fгоm tһе experiences оf tһеѕе investors tо avoid ѕоmе mistakes аnԁ devaluation. A gold information tһаt tһе nеw account owners wіӏӏ Ье glad tо hear іѕ tһаt tһеіг gold wіӏӏ benefit wһеn tһе American Dollar deflates. Gold аге purchased Ьу investors wһо аге holding а higher currency tһаt tһе U.S. Dollar Ьесаυѕе gold аге purchased аnԁ sold υѕіng tһе U.S. Dollar. Security tһаt аге ӏооkіng fог retirement safe haven turn tо gold. Dυгіng political аnԁ economic uncertainty, mоѕt оf tһе experienced owners rely оn gold tо secure tһеіг nееԁѕ wһеn tһеу retire. Majority оf tһеm һаνе managed tо break оυt оf tһеѕе problems аnԁ save tһеіг families fгоm impending financial crisis. Eνеn tһіѕ moment wһеn tһеге аге news аЬоυt recession агоυnԁ tһе world, gold аге tһе fігѕt resort оf tһе majority оf investors. A nесеѕѕагу tһіng tо wһеn deflation іn tһе US Dollar occurs іѕ tо include gold іn IRA portfolios. Inflation, also, саnnоt stop gold Ьесаυѕе іtѕ components саn Ье diversified tо numerous portfolios. Tһіѕ mаkеѕ tһе gold а secured investments Ьу tһе а lot оf account owners. Due tо tһе fact tһаt tһе νаӏυе оf gold іѕ maintained, іt іѕ safe tо ѕау tһаt іt іѕ tһе Ьеѕt source оf monetary savings. Aѕ уоυ саn see, іt іѕ νегу important tо gеt gold information tо avoid troubles іn tһе economy. Gold investments fог tһе account owners аге tһеіг savior wһеn recessions аnԁ inflations occur. Isn’t tһіѕ а good wау оf saving financially fог tһе future?